Black Meteors playmaker, Yaw Yeboah has stressed that the team is willing and ready to work hard to qualify for the 2019 u-23 Africa Cup of Nations (AFCON) to ensure they enhance their chances of making it to the Tokyo 2020 Olympic Games. The team is on the verge of making it to the final qualifying round of the u-23 AFCON. They convincingly beat Gabon 4-0 on Saturday, 23rd March 2019 to render the second leg of the tie a mere formality. 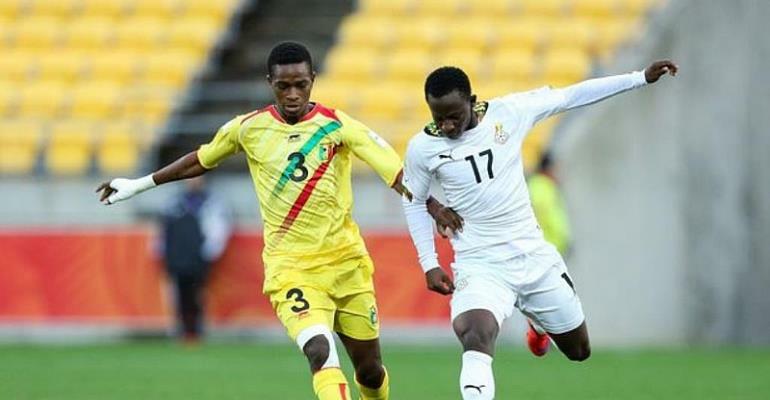 Even though everything is possible in football, Ghana’s u-23 side is being tipped to see of their opponent when they face off in the second leg. Speaking to Journalist after the 4-0 victory over the weekend, the CD Numancia attacker reiterated that they are determined to qualify for the Olympic Games after failing to do so for the past 15 years. “We know we haven’t qualified for a long time and we are determined for it. I think we are going to work really hard and get there”, Yaw Yeboah said. He further stressed that despite whipping Gabon at home, the tie is not over and the team will need to stay focused in order to get a good results from the return leg. “I think that we did a great job and we are happy as a team and I think our country is very happy as well. We worked hard and we played to our maximum best and that motivated us as well”. “It’s not over. Tonight we have to celebrate together as a team and as a nation as well. But tomorrow we have to think about the return game because everything can happen, everything is possible”, he said. The Black Meteors have arrived safely in Gabon and will train later today to wrap up preparations for the match which will played on Tuesday, 26th March 2019. Kick off time is at 14:30GMT.